The Bowman Walker team of realtors is ready to help you find your new home in Cape May County or to sell your existing home. With our combination of experience in real estate, land development, and residential and commercial construction, we truly know Cape May real estate inside and out! Let us put our knowledge and experience to work for you. Give us a call today at 609-884-2800 and let's talk! David was born in Chapel Hill, North Carolina, and grew up in Williamsburg, Virginia. Having earned his Bachelor of Science from James Madison University with a Middle Education endorsement, he spent the next five years teaching Math and English for 7th and 8th grade classes. During that time he also earned his Virginia real estate license. David moved to Cape May in 2004 and has been completely immersed in the construction and real estate market ever since. With his father-in-law, Jack Bowman, and brother-in-law, Lance, he co-founded Bowman Walker Construction and Bowman Walker Real Estate. He holds a New Jersey Real Estate Broker's license and New Jersey Real Estate Instructor's license and is a member of the Cape May County Association of Realtors. David is dedicated to ensuring quality service and strong business ethics. He currently lives in Middle Township with his wife Jessica, of Jessica Walker Photography, and their three sons. Lance is the son of Pat and Jack Bowman and was born in Cape May in 1977. He spent his youth in Cape May and graduated from Lower Cape May Regional in 1996. 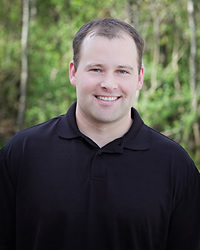 Lance grew up in and around the construction and Real Estate industries and spent summers working with the different tradesman for his father's construction company. During this time he gained valuable, first-hand knowledge of housing construction. Lance graduated from the University of Delaware in 2000 with degrees in Business Management and Hotel Restaurant Management. After spending five years working in management and hospitality in Washington DC, he returned to the area and became a founding partner in Bowman Walker Construction and Bowman Walker Real Estate with his father Jack and brother-in-law, David Walker. 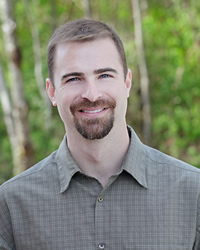 Lance follows the Real Estate market very closely and is active in the day-to-day operations of both companies. He takes pride in his commitment to customer satisfaction. Lance lives in Cape May Court House with his wife, Kelly, a teacher at Upper Township Elementary, and their sons, Colin and Chase. Carol K. Jones, CRS, GRI brings "Unique Services" to the Bowman Walker team. With more the 24 years of experience as a Cape May Real Estate professional, Carol has discovered that to provide the very best service is simply about putting her clients first. Carol offers many qualities and skills that have made her known in the community and among her peers as an excellent real estate professional – integrity, in-depth community and market knowledge, marketing savvy, effective negotiation skills and a high-quality professional network are just a few of the unique services Carol brings to each Real Estate transaction. Carol's "Client First" philosophy has always been her approach to each sale, listing, or rental transaction. This approach requires her to continually improve her skills and business dealings, which she accomplishes by being accessible to her customers and clients, being a good listener, and clearly communicating and responding quickly to the needs of her clientele. In addition, Carol has found that the latest technologies are enabling her to continue her "Unique Services" more efficiently while allowing her to extend the range of services she is able to provide to her clients. When you decide you would like to buy or sell a home in Cape May County, Carol K. Jones is ready to help make your decisions and transactions move from start to finish as seamlessly as possible. 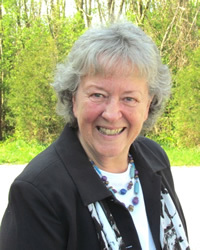 As a lifetime resident of Cape May County, Beth has excellent knowledge of the area. Trained by her mentor, Carol Jones, Beth has a grand knowledge of Sales. Be it listing a property for sale or selling a property, her priority is always to ensure that her clients have the best service possible. Actively involved in all aspects of Real Estate since 2004, she has seen market trends change frequently and has continually sharpened her skills and service to assist all clients of the office. Beth's father was a well noted Cape May County Appraiser for many years in his prime, and she has frequently assisted him in the many aspects of Appraisal Services. From measuring homes, researching property details, finding comparable properties or typing reports, Beth has a vast array of experience in accurately attaining property values. Beth boasts about having raised her six children, of whom she is extremely proud. Maintaining multiple schedules and ensuring everyone was in attendance to all practices, appointments, events and school functions—equipped, on time and prepared—has helped Beth be ready to manage the ever-changing Real Estate trends. 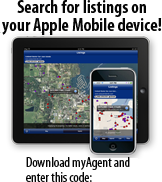 It has also assisted her in being organized with great attention to the details of any transaction. Maintaining her life motto... "Be stubborn with your vision but be flexible with your plan" has truly not only helped her successfully get all her children through school and established in their own careers and homes, but also been valuable in helping her assist clients all the way through closing as seamlessly as possible. Beth enjoys time spent with her family and friends, as well as walks with her lovable pup, Bella. She has the added joy of being called "Mimi" with the addition of her first Grand Baby, Elijah, who has Beth's whole heart held in his little hand! Whether you are looking for a vacation rental, need help filling summer weeks in your rental property, or are considering selling or buying a home, Beth is well skilled and would be happy to assist you with all your real estate needs. 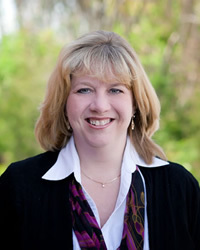 Kate received her Bachelor’s Degree in Business Management from Rowan University in 2000. She then moved to the Pocono Mountains of Pennsylvania where she held the position of Recreation Manager at Lake Naomi Club in Pocono Pines, Pennsylvania for nine years. This position included managing a 40,000 square foot Community Center as well as running numerous day camps and night programs for children of all ages. It was here that Kate perfected her customer service skills as member satisfaction at Lake Naomi Club was always top priority. Kate was very excited to move back in to the Cape May area in 2009 after being away for so many years. Kate grew up in downtown Erma and now resides there with her husband and daughter. Kate received her real estate license after moving home and worked in the rental department for another local real estate company in Cape May for four years. She has always loved the historical Cape May architecture, so viewing the various Cape May houses for sale and rent never loses its appeal. Kate is happy to join the team of Bowman Walker and looks forward to meeting and serving a whole new set of clients. 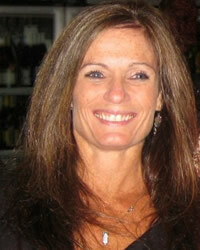 Joannie was born and raised in Delaware County Pennsylvania and moved to Cape May County in 1978. Now residing in North Cape May, Joannie's knowledge of the area has been sharpened by her involvement in business, community and social organizations. Having been a part of Bowman Builders as office staff when her children were young has given Joannie a unique look at land purchase, development and home sales which led her to move into Real Estate Sales. A short stint as Restaurant Manager at the Rusty Nail has afforded Joannie great organizational skills which translate into bringing any transaction seamlessly to closing for her clientele. Joannie's attention to detail and personalized service to her clients, both buyers and sellers alike, has allowed her to build relationships which extend beyond the purchase or sale of property. Regardless of whether you are looking for a home purchase or would like to sell your home, Joannie treats each transaction as though she were assisting a family member; and, she will certainly go the extra mile to be sure your best interests are considered in every detail of your transaction. Joannie enjoys working out and distance biking with "The Love of her Life"- Tony. Many summer days when she is not working you will find her relaxing on the beach with friends and family and time spent with any or all of their 4 grown children is one of her greatest passions. 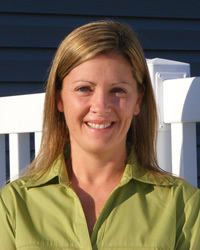 If you are considering a relocation and wish to buy or sell in Cape May County, call Joannie Bowman!